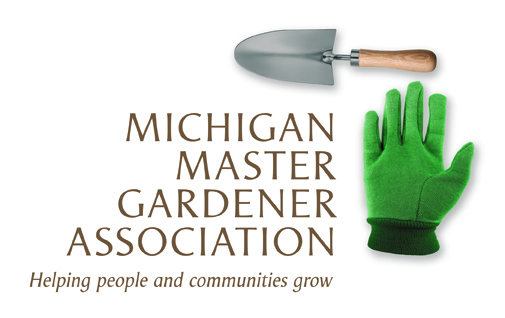 2019 Smart Gardening Apprentice Program — Michigan Master Gardener Association, Inc.
April 10, 2019 - August 28, 2019 4 - 8 p.m.
Join us for the 2019 MSU Extension Smart Garden Apprentice Program! The Smart Garden Apprentice Program is designed with “hands-on” in mind, classroom sessions, coupled with real life application in the Grand Ideas Garden (GIG). Meeting throughout the season, class members benefit by the natural sequence of growth in the GIG for the entire summer. Learning and instruction are based on current environmental conditions and emerging pest issues which gives participants a better feel of seasonal garden practices. One off-site field trip is scheduled during regular class time. This is a gardener’s “dream” class--there will be a little homework and guess what?—NO tests!! Come ready to rub elbows with other students while we work and learn in the garden. Plan to get dirty and have FUN!! Dates to reserve: (Wednesdays) April 10, April 24, May 8, May 22, June 5, June 26, July 17, July 24, August 14 (offsite class), August 28. Time: Classes will be held from 4 - 8 p.m. and led by MSU Extension Staff, Angela VanOrder and Daniel Davis along with MSU Extension Horticulture Educator, Rebecca Finneran. Plan to bring: sun screen, water bottle, garden-appropriate clothing, close-toed shoes, gloves and dress appropriately for the weather. Class participants will be asked to sign up to bring a food item for several sessions. Don’t delay! Class space is limited to the first 24 people who have registered online and are paid in full. Class location: All classes will be held at the Kent-MSU Extension Office at 775 Ball NE, Grand Rapids, MI—unless otherwise noted. Prerequisites: Participants must have successfully completed the classroom and testing portion of the MSU Extension Master Gardener basic training or be a re-certified Extension Master Gardener (EMG). This program qualifies for EMG education AND volunteer hours. Completion of the SGA Program: Participants who complete 80% of the SGA classes will receive a certificate of completion. Registration - The deadline to register is March 21, 2018, or when the class is full. Payment must be received within 10 days of registration or your registration will be cancelled. No registrations will be accepted at the door. Payment by Credit Card is recommended, via this secure MSU payment site to expedite your seat reservation. To ensure your transaction is processed, please enter your personal information exactly as shown on the credit card and do not include dashes in the credit card number. You will receive a confirmation email upon completion of your transaction. Payment by Check: If you prefer to pay the registration fee by check, please allow 10 days for check processing. Your seat is not reserved until your balance is paid in full. Payment by check - MSU will prepare and mail you a check for the amount paid. This process takes about two to three weeks after the refund has been requested. A full refund, less a $25 processing fee, will be issued for any registration cancelled prior to 7 days before the class start date. No refund will be issued for any registration cancelled within 7 days of the class start date. No refund will be issued for any registration cancelled after the class has started.